UCEED Counselling and Seat Allotment 2019 – Indian Institute of Technology (IIT) Bombay will conduct counselling and seat allotment of UCEED 2019 for admission to bachelor of design programme. Registration process for UCEED counselling 2019 will commence from June 8 onwards. There will be at least three rounds of UCEED seat allotment. At the time of UCEED 2019 counselling and seat allotment, candidates will have to exercise either “freeze” or “float” option. If the candidates accept the seat offered to them at the time of UCEED 2019 seat allotment, then the candidates will have to pay the necessary fee and confirm their admission. Candidates who clear UCEED entrance exam, they will be able to apply for admission to B.Des programme which is offered at IIT Guwahati, IIT Bombay, IIITDM Jabalpur. 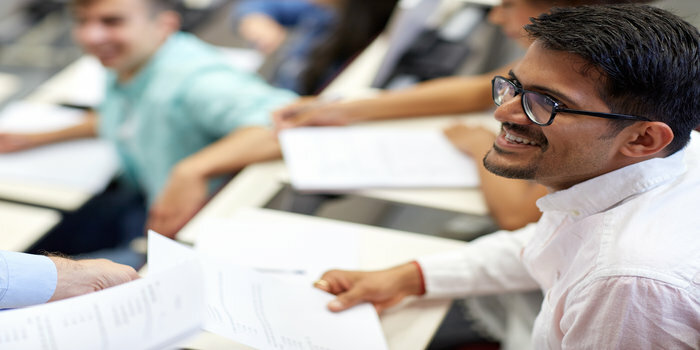 Check all the information related to UCEED counselling and seat allotment 2019 such as eligibility criteria, registration process, fees payment etc which is given in this article. Latest: Registration for UCEED Counselling 2019 will begin from June 8. Candidates will have to meet the necessary eligibility criteria pertaining to UCEED seat allotment 2019. In order to be eligible to seek admission in bachelor of design programme, at the time of counselling of UCEED, candidates should be born on or after October 1, 1994 if they are from the open or OBC-NCL category. If the candidate belongs to SC, ST or PwD category, then they have to be born on or after October 1, 1989. Candidates who will clear UCEED 2019 and have got a rank, they will be eligible to take part in seat allotment of UCEED. Candidates should have passed the qualifying exam (class 12 or equivalent) in 2018 or 2019. If the qualifying exam board merely awards only letter grades and does not mention anything about the passing grade on the grade sheet, then in such a case, candidates have to get a certificate from the Board in which the passing grade has to be mentioned. The same document have to be uploaded along with the grade sheet. If such a certificate is not provided, then the decision taken by the B. Des Admissions Committee will be final. Candidates who have cleared the UCEED 2019 entrance exam and have secured a rank, they will have to register by filling the application form for UCEED counselling 2019. Candidates will have to log in again by using their email and password which was created at the time of filling the UCEED application form. If the candidates forget their login credentials, then they will have to again register through the IIT Bombay external User Registration Portal. Candidates will have to select the institutes according to their preference and fill personal details. Candidates will have to pay the application fee of Rs.1000 after filling all the details. The registration fee for UCEED 2019 counselling can be paid through net banking, debit card, credit card. Once the application form is submitted, candidates had to take printout of the registration form of seat allotment for UCEED 2019. Note: Candidates can make changes in the registration form of UCEED counselling 2019 before the last date of submission of the application form. Candidates can edit the order of preference of institute and submit it again. After the end date of filling the application form, candidates will not be allowed to make any changes. Once the candidates have successfully registered, allotment of seats will take place. UCEED 2019 seat allotment will take place on the basis of rank, category and choice. The institute will intimate the candidates about their selection by sending a provisional allotment letter through email. Candidates will have to confirm their admission by paying fees through online mode. If the selected candidates do not pay the seat acceptance fee before the stipulated date or they refuse to take admission, then their application will be cancelled. These vacant seats will be filled later on in the coming rounds. If the candidate accepts their first choice of the allotted institute, then the candidate has the option to either accept (‘freeze’) the choice or refuse the admission offer. At the time of counselling and seat allotment, if the candidate is allotted their second or third choice of institute, then candidates have the option to either accept or freeze the choice, or accept with the option which could be considered for upward movement (‘float’) the choice for subsequent round(s), if any, at the time of joint seat allocation. At the time of freezing the option, candidates can accept the offer and also mention that they do not want to take part in subsequent rounds. These candidates will not be considered in other rounds. As far as ‘floating’ option is concerned, candidates can accept the offered seat and mention that if they are offered admission to an institute of their higher preference, then they will accept otherwise they will continue to study in the institute where they are already studying. These candidates will be given the option to participate in other rounds of admission. After the allocation of an institute of higher preference, candidates will have to forfeit the seat which they had accepted in the previous round. This will be applicable to those candidates who choose the float option. Candidates will have to pay the acceptance fee only once. If the candidate is allotted another seat and if they choose the ‘float’ option, then the candidate will not have to pay the seat acceptance fee again. Those candidates who accept the seat that they are offered, then at the time of joining that college, their seat acceptance fee will be adjusted against the institute fees. Those candidates who refuse to take admission to the seat offered to them after payment of fees, then the fee refund will be done in accordance with rules and regulations of that particular institute. At the time of UCEED 2019 seat allotment 2019, if the candidate decides to withdraw either during the end of first round or before the end of second round and has paid the acceptance fee, then the candidate will get full refund. However, processing charges of Rs 1,500/- will be deducted. Candidates will not get any refund at the end of last round. Candidates will not get any refund after the end of the third round of UCEED 2019 seat allotment since there will be "float" option after this round. As part of UCEED counselling and seat allotment, candidates can choose either from the “freeze” or “ float” option. Float – At the time of seat allotment of UCEED 2019, candidates can accept the seat which is allotted to them. However, in the remaining rounds if they are offered admission to the Institute of their higher preference, they will take admission there otherwise they will continue in the existing college. Only those students who choose the float option, they will be able to participate in subsequent rounds of UCEED seat allotment 2019. Freeze – According to “freeze” option, candidates who are content with the seat which is allotted to them, then they can accept it and pay the fees, thereby confirming their admission. After the UCEED counselling and seat allotment 2019, candidates will have to visit the institute where they have been offered admission and will have to get their documents verified. Candidates will have to physically present at the institute allotted to them to complete the admission formalities. If at the time of the admission, the authorities find any incorrect or false information, then the institute concerned reserves the right to cancel the admission of the candidate. Nirma University will admit candidates on the basis of UCEED scores. UCEED 2019 participating institutes are those colleges which will take into account the scores of UCEED as they admit candidates in the bachelor of design programmes. 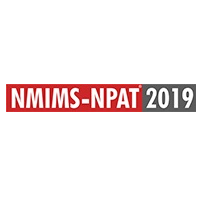 Nirma University is part of UCEED participating institutes 2019, though it will not take part in the counselling process which will be conducted by IIT Bombay. Candidates aspiring to take admission in B.Des programme at Nirma University will have to directly apply to the institute after they have qualified UCEED 2019. Indian Insitute of Technology, Hyderabad will admit candidates to its Bachelor of Design (B. Des) programme from 2019-2020 academic year onwards through UCEED. World University of Design will also admit candidates for the undergraduate programme through UCEED. In a notification, the university has stated that for certain seats, candidates would be admitted through UCEED. However, World University of Design has clarified that it will be participating in the admission exercise which will be conducted by IIT Bombay. Chitkara University, Punjab will allot some seats to candidates for admission to undergraduate programmes through UCEED. The university, however, will not take part in the joint admission exercise that will be conducted by Indian Institute of Technology (IIT), Bombay. Srishti Institute of Art, Design and Technology, Bengaluru will offer admission for undergraduate programmes to students through UCEED. The institute will not be a part of the joint admission exercise conducted by IIT Bombay. 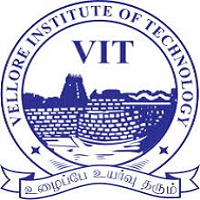 VIT Univeristy, Vellore to offer admission at the undergraduate level on the basis of the CEED score. The institute will not take part in the joint counselling to be conducted by IIT Bombay. 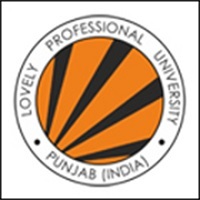 Lovely Professional University, Phagwara will admit the candidates on the basis of the UCEED score. However, the university would not be part of the Joint Admissions Exercise which will be conducted by IIT Bombay. UPES, Dehradun will offer admission to students based on UCEED score. However, the institute will not take part in the Joint Admissions Exercise conducted by IIT Bombay. CIT, Kohrajhar will not take part in the Joint Admission Exercise conducted by IIT Bombay, however, the institute will allot some seats to students for admission through UCEED. Vivekananda Global University, Jaipur will give admission to students at an undergraduate level based on the UCEED score. The institute, however, will not take part in Joint Admissions Exercise that will be conducted by IIT Bombay. Delhi Technological University, Delhi will also allot some seats to students for admission to undergraduate programmes through UCEED, but the university will not participate in Joint Admissions Exercise conducted by IIT Bombay. Khyati School of Design, Ahmedabad will offer admission to students to undergraduate programme through UCEED for the academic year 2019-2020. The school, however, will not take part in the Joint Admission Exercise conducted by IIT Bombay. 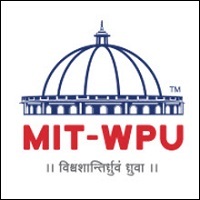 MIT World Peace University, Pune will also give admission to students to undergraduate programme based on the UCEED score. The institute, however, will not be a part of Joint Admissions Exercise conducted by IIT Bombay. U.P. Institute of Design, Noida will allot some seats to students for admission to undergraduate programme through UCEED, but the institute will not participate in the Joint Admissions Exercise, which is conducted by IIT Bombay. ARCH college of Design and Business, Jaipur will offer admission to students through UCEED at an undergraduate level. The college, however, will not be participating in the Joint admissions exercise, which is conducted by IIT Bombay. Aram Centre for Art, Design and Environmental Studies, Coimbatore will allot some seats to students for admission to undergraduate programme through UCEED. The institute, however, will not take part in the Joint Admission Exercise conducted by IIT Bombay.